Are you a first-time vacuum cleaner user? Then, you may not know how to operate the device, do you? Well, first read the instruction and learn how to use the vacuum cleaner properly. However, the manual instruction does not contain any particular tips to vacuum a home or office properly. After reviewing couples of users vacuum experience, we discover that many users do not follow some basic tips. The tips can help to reduce the stress and cleaning time. Moreover, you will have a quick cleaning because of following some additional techniques. 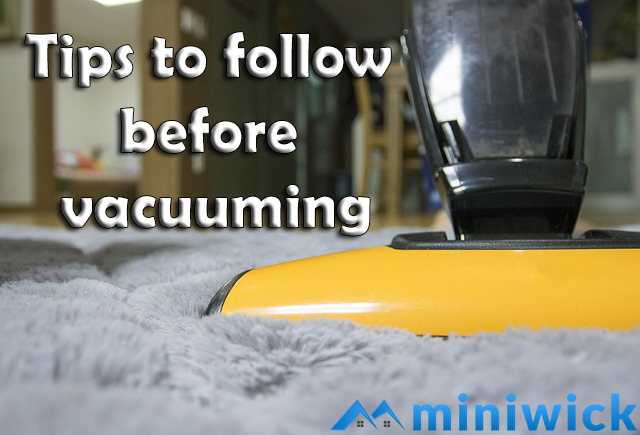 1 We have figured out top 5 tips to follow for a new vacuum user before starting to clean. We have figured out top 5 tips to follow for a new vacuum user before starting to clean. This is important to minimize the mess in your home. This helps to clean the home within a short time. You can restrict shoes inside the home to reduce extra dust. In addition, you should clean dust of windowsills, blinds and future before you move to surface cleaning. Want to select a best vacuum for pet here you go the miniwick . You should make a schedule for cleaning your home properly. Once in a week is enough to clean the home. However, you will need to vacuum home daily for high traffic areas. Do you have a heavy shedding pet? Then, vacuuming daily is recommended for you. In this case, you should use the proper pet hair removal brush to clean stubborn hairs. Also, purchasing the vacuums for pet hair removal is an advantage for shark cleaning it properly. You can select a fixed time in a day to clean your home. Selecting the right attachment from attachment kit is really important for any new user. You should know the basic tools and their uses for cleaning. You will have a crevice tool that is good for tight areas, a small upholstery brush that is efficient for furniture. Sometimes you will have a special attachment for a particular purpose. In this case, you should check the attachment kit list before you purchase a vacuum. Do you have checked your bag before starting to clean? If you don’t, you should always check the bag. This is good to empty the bag after it reaches to half or two-thirds of its capacity. Emptying the bag helps the machine to maintain good suction power. Otherwise, you may cause lack of suction power and particles emitted back too! Do you have a kid that play with toys? Then, you should move the toys in a fixed place before cleaning. Every small object that is important for you should be removed from the surface. This will help you to clean the home properly and efficiently. Otherwise, the small objects will become obstacle for you. Hope the tips will help you to conduct the home cleaning project properly. Moreover, they will assist you to maintain the quality and efficiency of the vacuum. Most of us forget or ignore to read the manual instruction of the device. The manual instructions also provide some unique tips to use a particular vacuum to the users too!